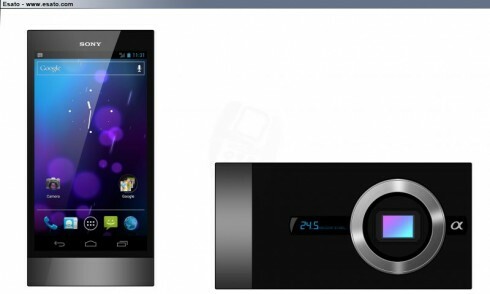 Sony Xperia NX, Based on NEX Cameras; Razec is Back! Our readers who have been following us from 2008 must have heard the name Razec a lot in here, since he was a very prolific designer of Sony Ericsson concepts. Now he’s back with a new design, imagining a combination between a Sony Xperia phone and a Sony NEX camera. The result is the Sony Xperia NX mockup, pictured below. Razec calls the device unfinished and sees it as a hybrid, with a 24.5 megapixel camera at the back and a very rectangular design. Doing a quick web search, I found that a Sony NEX camera, the Nex 7 model has a 18-55 mm lens bundled and a massive 24.3 megapixel APS-C sensor. The latter can be borrowed in a more compact form and implemented on a future Xperia, being able to do Full HD 1080/60p/60i video. The thing is that the camera I’m talking about here costs $1349, so the phone will be extremely pricey as well. HTC One Bloom Concept, the Future Flagship of HTC Samsung Galaxy S IV Is The Answer to the iPhone 5: One Week of Battery Life!